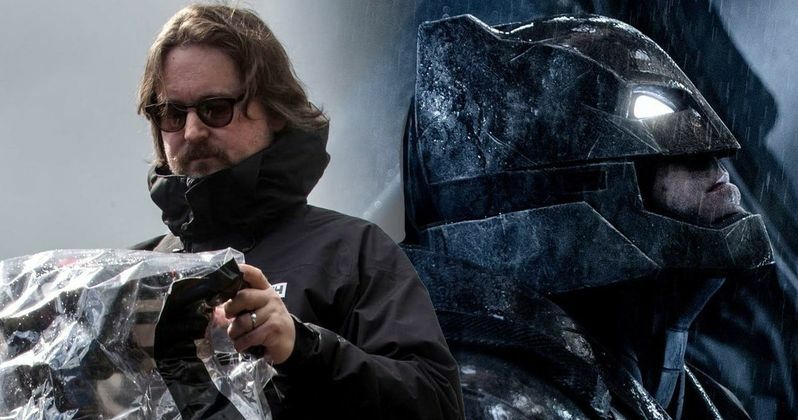 Matt Reeves has taken to social media to clarify the statements that he made in regards to whether or not The Batman will be involved in the DCEU. News started to buzz yesterday about Reeves' Batman project not being a part of the DCEU when the director told an interviewer that The Batman had been presented to him as a standalone movie by Warner Bros. Specifically, Reeves said, the movie was "not a part of the Extended Universe." Now, that sounds pretty cut and dry, but apparently the director's words were taken out of context. The clarification comes to us via Reeves' official Twitter account. Reeves had this to say. "OF COURSE Batman will be a part of the DC Universe. Batman will be BATMAN. In my comments from a while back about not being a part of the DCEU, I was talking about The Batman being a story specifically about Batman... not about the others in the Universe. That it wouldn't be filled with cameos servicing other stories - that it would be a BATMAN story." When put like that, it does make perfect sense, but one can easily see how the director's words were misconstrued and taken out of context. But there is still one giant missing piece of clarification that Reeves did not address during his stream of tweets this morning. That giant piece of clarification has to do with whether Ben Affleck will star in The Batman or not. If it's as obvious as some fans say, why not straight up come out and say, "yes, Mr. Affleck is the Batman." What is so hard about that? We've been covering this story for months and nobody has gone on record to officially state the so-called "obvious." At this time, it does not look like Affleck will be starring as the Caped Crusader in Reeves' version of The Batman, which is going to be significantly different than the vison that Affleck initially set out to make. The Hollywood Reporter announced that the movie was going to take place outside of the DCEU and star another actor, but then quickly retracted that part of the story, but in a vague and confusing way that also did not mention Affleck by name. Yes, Affleck sort of addressed the rumors at Comic-Con last month, but those comments were just as vague, as he did not explicitly say, "I am Batman," which has led to a lot of speculation and confusion surrounding the upcoming movie. While it was originally thought that shooting would begin in 2017 and that is obviously impossible now as Matt Reeves is currently writing a new script. The studio has yet to give the project a proper green light, which is more than likely due to a complete script overhaul and quite possibly the search for a new actor to portray Batman. The real news today is that The Batman will remain in the DCEU as originally thought by everyone, but it still leaves that elephant in the room.